One of the many things that confuses Europeans who live in Egypt is that Muslim religious festivals are a on different date every year. The reason for this is that Muslims use the higriya هـِجر ِيـَة calendar for religious matters, and the miladiya مـِلـَد ِيـَة calendar for secular matters. Egypt's copts use yet another calendar! The higriya calendar is a lunar calendar that starts from the Prophet Mohammed's emigration from Mecca to Medina. The moon orbits the earth every 27.32 days, but when you factor in the movement of the sun, the time between new moons is, on average, 29.53 days. With twelve lunar months of 29.53 days, you get 354 days in a year. The miladiya calendar is a solar calendar (365 and a quarter days) that starts from the birth of Christ. You may wonder why Muslims use this as reference for anything, but Muslims respect Christ as a prophet, like Moses before him. That means that there is a difference between the miladiya and higriya calendars of 10 to 12 days per year, depending on astronomical factors, so religious festivals are earlier by this much every year. 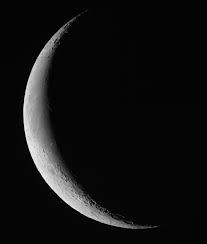 For example, in Egypt, Ramadan ended on 30Aug in 2011, 19Aug in 2012 and 8Aug in 2013. Accurate dates are important for agriculture, navigation and religion. Without sophisticated equipment, astronomical events are the easiest way to measure the passage of time. The Egpytians have been have using solar events since 4200BC, the Mayans since 3000BC, and Stonehenge was erected in 2500BC. The Western calendar is a solar calendar, with 365 days a year apart from leap years. The first version, the Julian calendar, was set up by Julius Caesar in 45BC. He wanted a month named after himself, and chose a summer month so that the weather would be nice during his month. To do this, he inserted his month in the middle of the year and moved subsequent months on one. His successor, Augustus Caesar, did the same, so the months after July and August are offset by two. Thus, septem is the latin for seven, but September is the ninth month. Likewise, decem is the latin for ten, yet December is the twelfth month. 365 days and leap year every four years is nearly good enough, but over time the astronomical year was slipping compared to the calendar year. In Persia, Sultan Jalal set up a committee to work out how to deal with this problem, and they published the Jilali calendar in 1079. The principal member of the committee was Sultan Jilal's equivalent of Leonardo da Vinci, Omar Khayam: astronomer, engineer and all-round boffin. He calculated that the actual period of a year was 365.24219858156 days- significantly more accurate than any measurements taken in Western Europe during the next five hundred years. Omar Khayam is better known for his poem The Rubaiyat... and probably even better known for the Egyptian wine named after him. Europe was going through the dark ages at that time, and so it was not until the 16th century that the catholic authorities had spotted the same problem, because Easter was slowly drifting away from its traditional time of the spring equinox. Pope Gregory XIII set up a committee to decide what to do. They eventually settled on a calendar created by an astronomer called Lilius, who died six years earlier. His plan was basically the same as the one proposed by Eratosthenes in 270BC, which involved skipping a leap year three centuries out of four. In 1582, Pope Gregory approved the committee's proposals and named the calendar after himself. They agreed to adjust the date to correct for errors up till then, and then use Lilius' plan to prevent further slippage. They also agreed to move Christmas forward by 13 days: it is not clear why they felt that this was necessary. The Gregorian calendar was adopted quickly though most of western Europe, however Greece did not accept it until 1923. It is also now the basis of the miladiya calendar.